A Montreal Canada Malting Silo. 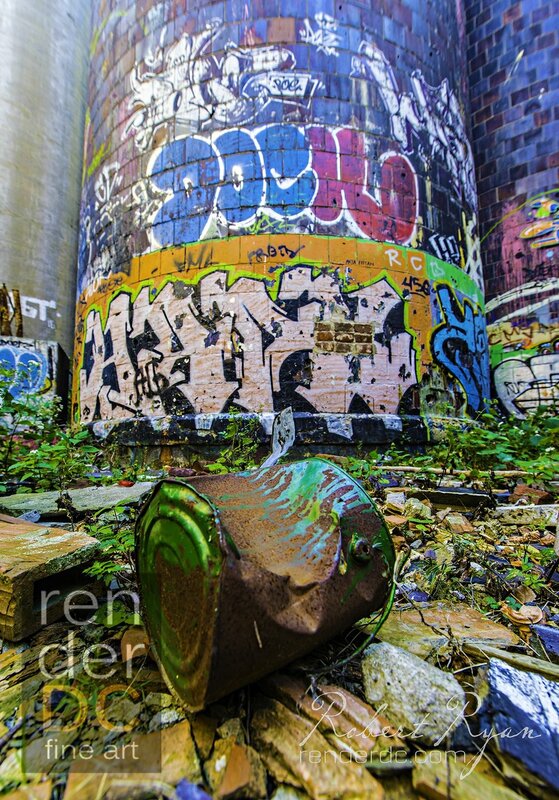 The green gallon is an indicator of the some of the paint that was used to create a graffiti masterpiece. It is carefully covered in Graffitti street art.